- A featherweight bout between Yair Rodriguez and Zabit Magomedsharipov was scheduled for the event. However, Rodriguez pulled out of the fight on August 23 citing injury. He was replaced by Brandon Davis on August 28.
why till? the wood is too explosive for his style. lawler made that mistake. Lawler and Till are nothing alike. ok. but curious, why till? Edit: Just realized what you were asking. Ignore me. - He always puts himself against the cage unless he's facing a guy with terrible TDD, which then he can be aggressive. Till is all about aggression and always puts his opponents against the fence. Once against the cage, Woodley will try to explode like he did against Wonderboy, but that won't work against Till because there will be more punches coming his way. - Woodley will be dumb if he even tries to go for a TD against Till. He won't do any damage, any Till will eventually be able to get back to his feet. This means Woodley will be faking TD attempts while purely boxing against a much better boxer/striker who has every advantage in this fight except a pure wrestling advantage. Till is better at using his size and length, just like Rory was. Wonderboy was way too tentative for his own good. 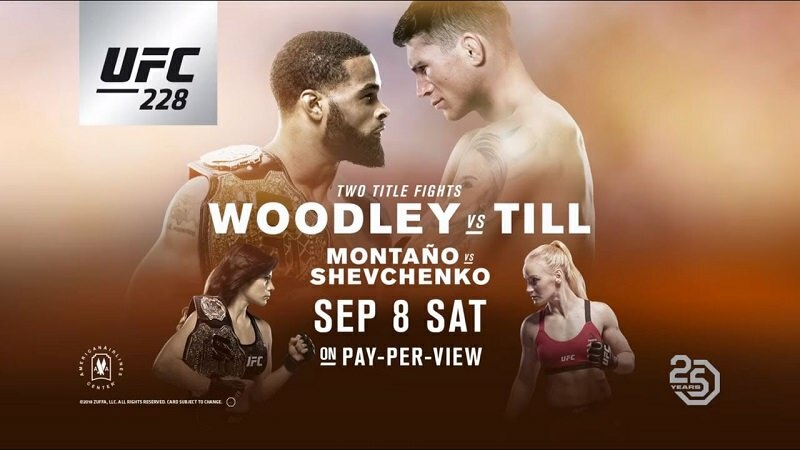 Plus Woodley has got the patience of a monk in throwing that overhand right so waiting for him to come to you is counterproductive as he never will. Till can beat him because he's got power in his hands and feet and Woodley respects that and trying to take down Till is going to be hard since he's one big dude. Only odds for Woodley are if he manages to run long enough to do that one shot miracle before getting demolished no? can someone start ggg vs canelo 2 thread? true. leaning towards woody but will wait til weigh ins. So as long as Till keeps a long left arm hand fighting and throwing jabs like Rory did its going to be hard for Woodley to connect with the overhand given Till's height, so he will have to time it to KO Till and Woodley isn't very good at drawing an attack and timing the counter. and woodley should give till something to think about. as soon as till rushes forward, woodley should give him a big right hand on the body, or a double leg.